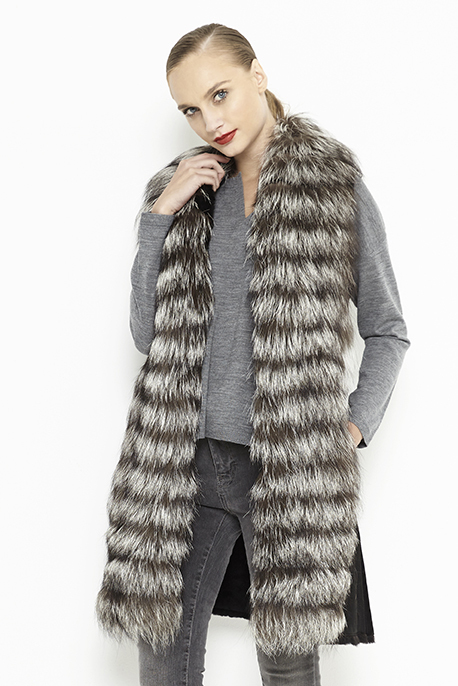 Natural vest for women, made from fox/raccoon fur and natural merino lamb fur. This vest is made from nappa lamb leather on the exterior, resistant to moisture and dirt and the interior is made of trimmed lamb fur to 8mm thickness, which provide you a comfort and warmth sensation, in the coldest days. 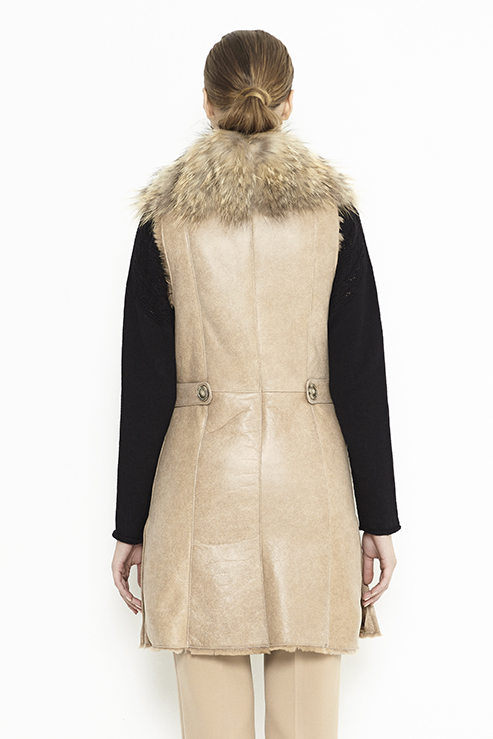 The long collar of this vest is made from natural fox/raccoon fur having a special and modern design, the fact that it extend on closing line of the vest, it offers a unique detail. Closing of the vest is provided by clips.